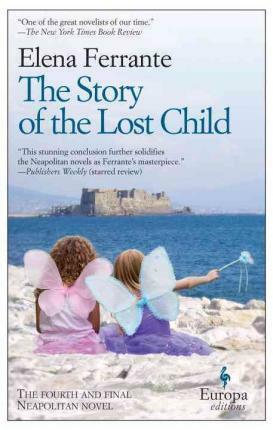 Today I’m looking at a book that has made both the Man Booker International Prize shortlist and the Best Translated Book Award shortlist for 2016, a novel I read on its release back in September 2015, Elena Ferrante’s “The Story Of The Lost Child” (translated by Ann Goldstein). I seem to recall somebody at the book club mentioning this anonymous Italian writer, something about “Ferrante Fever”. Being a strong anti-vaccine activist, I haven’t received my inoculations to stop the malaise hitting me, but with a pretty solid immune system I’m very confident that although some symptoms may appear, I will not succumb to a full blown fever, I’ve read four volumes (and am about to start a fifth) of Karl Ove Knausgaard’s personal struggle, if that didn’t give me night sweats and fatigue I’m fairly confident a publicity shy Italian will carry no germs. WHAT? “The neighbourhood”? What neighbourhood? Who are these people? She disappears without a trace? When? If so why is she in this book? Who is Enzo? Damn this list of people, I’m going to start reading it. Okay, the first page and a half we have Lila, Nino, Dede and Elsa (the sentence introducing them reads “In reality, what mattered more than that offense was the mention of Dede and Elsa.”), Marcello Solara, Gennaro, Stefano and then it spirals a few more pages with some bloke called Pietro turning up. I better go back to the list of characters….no joy…back to the book. Nino goes to Naples, Lena to Florence, but who is Adele in Milan? Let’s face it the foundations, the very core has been laid in the previous three works, well and truly before you even open this book. Yes, of course, it is a measured opening here, it is slowly reintroducing us to the people, reminding us of the affair Lena is having, re-establishing the various cities and their significance and of course we need to be reminded of the influence that Lila plays over Lena’s life. But in my opinion, the whole scenario is bizarre – how can this book be up for these awards? The book, to a new reader, makes no sense, who are these people? Maybe the back cover would help you out, give you an idea of what is going on….WHAT, it is just reviews?? Ohhh it’s on the front cover “The Fourth and Final Neapolitan Novel”? Why didn’t anybody tell me? I know I would probably be living in a cave not to know this is part of a series, but I’m trying to make a point okay?!? I know this rambling is not really a review of Ferrante’s latest per se, however what is the point of adding yet another view to the plethora of opinions that are out in cyberspace? It wouldn’t count for much at all, if anything. This rant is merely my opinion as to the merits of this work winning either the Man Booker International Prize or the Best Translated Book Award. Neither of these prizes is given for a body of work (although the Man Booker International Prize was for a body of work, not a specific book, prior to this year, it is no longer the case). As a standalone novel I was seriously disappointed that it made either list, let alone both. Is this on these lists as a consolation for the Independent Foreign Fiction Prize ignoring the first three instalments? Or the Best Translated Book Award feeling guilty that the opener in the series “My Brilliant Friend” was completely overlooked and the following two, although being shortlisted, were beaten by László Krasznahorkai (“Seiobo There Below”) and Can Xu (“The Last Lover”)? Let’s face it, book number four is going to be bought by people who have read numbers 1-3, number four is going to be liked by people who have already read 1,200 pages about Lena and Lila, it’s a conclusion, people like closure, they’ll feel as though they’ve lost a friend but they’ve gained an experience. Number of ratings decreasing, as you would expect whilst people make their way through the books, and of course there will always be people who drop off the bandwagon along the way, but the ratings themselves are increasing the further people get into the works. Another interesting point is the lowest average scores come for the first novel, a work people may have tried and decided to go no further, only adding fuel to the fire that a score will increase the further you travel along the series journey, only diehards are going to read 1,600 pages. Personally I did not enjoy the third in the series anywhere near as much as the first two (my review here reflected that) http://messybooker.blogspot.com.au/2014/12/those-who-leave-and-those-who-stay.htmland this feeling carried over to “The Story of The Lost Child”, although I did think it was much stronger than “Those Who Leave and Those Who Stay”. Having struggled with writing a review for this book when the reading public has the fever, with four books all in the best seller lists, I’ve resigned myself to just presenting my view that as a standalone novel this book should not be on the award shortlists. You watch it win both. And so she said nothing. Readers of translated fiction would probably have come across Marie NDiaye through her 2009 Prix Goncourt winning work “Three Strong Women, the work also making the shortlist of the IMPAC Dublin Literary Award in 2014 (the Award won by Juan Gabriel Vásquez’s “The Sound of Things Falling – translated by Anne McLean). 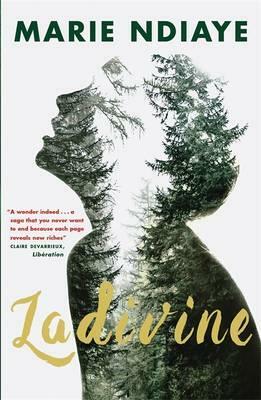 The English translation of her latest work Ladivine, just being released in the United Kingdom and is scheduled for release in the United States next week. If you were to read this book looking for a linear narrative, or a simple plot, you would be disappointed, whilst basically we can follow the lives of three women, Ladivine, Clarisse (or Malinka) and Ladvine, the work is a lot more complex than what appears on the surface. Where Malinka’s mother was born, a place Clarisse Rivière had never gone and never would go – though she had, furtive and uneasy, looked at pictures of it on the Internet – everyone had those same delicate features, harmoniously placed on their faces as if with an eye for coherence, and those same long arms, nearly as slender at the shoulder as at the wrist. And the face that her mother had therefore inherited those traits from a long, extensive ancestry and then passed them on to her daughter (the features, the arms, the slender frame and, thank God, nothing more) once made Clarisse Rivière dizzy with anger, because how could you escape when you were marked in this way, how could you claim not to be what you did not want to be, what you nevertheless had every right not to want to be? Whilst not explicit, Ladivine is dark skinned and Clarisse light skinned, Malika, becoming Clarisse and attempting to escape her heritage, is this a story of displacement, but one where our protagonist wants to be displaced? A novel that is rich with emotion, here’s a few words taken from a single page – intelligence, ingenuity, strategy, stubborn, immovable, failure, resolute, evasive, fear, compassion. A roller-coaster of family manipulation, personal highs and lows and confused self-awareness. As a reader you move through extremely touching sections, where you feel the daughter’s rejection of her mother, a woman who called her only child “my princess”, a single mother who worked as a servant and cleaner to raise her daughter, and then to be rejected! How she loved her face in the morning, powdered, serious and inanimate! That was how Clarisse was meant to be in the eyes in the world, a wonderful girl whose good points were all you ever saw, because there were no bad ones. And how that Clarisse was loved! Here I’ve really only touched on the opening sections, quite soon thereafter, her daughter has moved out, her husband has left and she cannot share the pain with her mother, as she keeps her mother a secret from her family, she keeps her family, and even her daughter, a secret from her mother. She cannot share her pain, and conversely she could not share the joy of having a daughter. Her daughter Ladivine, who telephoned often, and her co-workers at the restaurant, and Richard Rivière himself, who dutifully called once a month and wired her money she never spent, they were all doing their best, discreetly, affectionately, sometimes with openly expressed concern, to rescue her from humiliation. But she had never felt any such thing. Nor was she humiliated that people thought her humiliated, only vaguely surprised. The novel doesn’t simply cover the mother Ladivine and the daughter Malika/Clarisse, it moves to the story of the daughter/grand-daughter Ladivine, and her relationship with her father and her husband and children. Although the main character women in this novel (the two Ladivine’s and Clarisse) are “storng women” I feel their nonchalant behaviour, accepting manner, working continually to simply fit in makes this novel “Three Benevolent Women” not “Three Strong Women”. The opening quote I used is one that does crop up a few times and it does define these women, they simply say nothing. Ladivine had met him after two aimless years at the University of Bordeaux, which, on a whim and a friend of a friend’s vague promise of lodging, she’d left for Berlin, with no great enthusiasm, under the illusion that time and life would go by more quickly if she moved on, stupidly, because she had no plans, no hopes, because at twenty-one she felt tired and worn, and she saw Marko at the watch counter of the Hermannplatz Karstadt, where he’d recently found work, and realised that a young man like him, with his long hair, his big glasses, his delicate, kindly, clam, endlessly patient face would never feel the need to hurt anyone at all, that there was a kind of glory about him that he didn’t work at and didn’t believe in, that that word would have made him laugh, as he was a practical man, and this serene scepticism was an element of his grace, since he had no knowledge of that grace, since he had no access to it. As per usual I would rather not give too much of the plot away here, so I am quite restricted in the amount of information I can share here, doing my best to stay within the boundaries of the book’s blurb and inner sleeve description. Although I will say I was wondering how the novel was going to sustain the story of Ladivine and Malika/Clarisse for 300+ pages when it was moving quite rapidly in the first 100!!! This is a novel that has a blend of genres, a melting pot of styles, making it a difficult work to simply categorise, that is not a bad thing, fresh voices and young writers pushing the literary boundaries are more than welcome on my shelves. In fact I’ll review another recent release by a female writer in translation in the next couple of days that very much so pushes the boundaries. A worthy inclusion on the Man Booker Prize Longlist, in my top few? Probably not, but it is still alive and kicking for the Shadow Jury’s main prize so we will know more in the coming weeks. 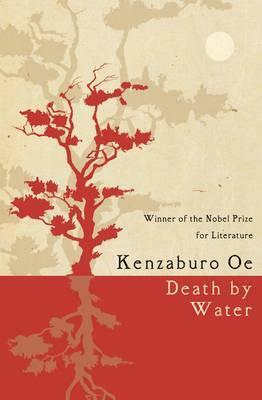 There have been a couple of posts between my review of Maylis de Kerangal’s “Mend The Living” (translated by Jessica Moore) and this look at Kenzaburō Ōe’s “Death by Water”, however I did read these books back-to-back. Moving from the stilted, awkward style of the French novel to the smooth, eloquence associated with J-Lit. I can assure you the stark contrast was startling. Our novel focuses on the ageing famous writer, Kogito Choko (Kenzaburō Ōe), and opens with his return to the family home, ten years after his mother’s death, at his sister’s request. This reconciliation of family now gives Choko the, long deferred, opportunity to finish his novel that is about his father’s drowning death. As we explore more of this time it is also a reflection by Choko on his family relationships, his childhood memories and his imaginary friend Kogii. When our narrator returns home he meets up with a theatre troupe, the Caveman Group, who is planning to adapt all of his writings for the stage, a devise for the author to discuss his previous works with the theatre group whilst researching his “drowning novel”. The reflection on other works by Ōe are interspersed with interviews with Choko and (of course) the author’s internal musings. One of the key prompts for Choko’s upcoming novel, apparently his last, is a family heirloom, a “red trunk”, hopefully it contains his family’s history, letters, feedback on his first draft of the ‘drowning man’ novel that he sent to his estranged (now dead) mother and further riches. When Kogito Choko opens the red trunk his first discovery is three volumes of the English book “The Golden Bough”…later we learn “the myth of the Forest King of Nemi is one of the underlying themes of the whole ‘Golden Bough’, from beginning to end. The archetypal myth about the new king who kills his aged predecessor, thus engendering a renascence of fertility in the world.” Is this a reference to post-war Japan and the rule of Emperor Hirohito? Is this a reference to the passing on of the patriarchal role from Choko senior to Choko junior? Are these anthropological and folkloric principles a metaphor for modern Japanese politics? You’ll have to read this book yourself to find out…. This is a subtle, understated novel, blending repetitive tales of Choko’s memories or current day actions with folklore, local spirits, samurai, female warriors and references to Kenzaburō Ōe’s other writings or even Natsume Soseki’s “Kokoro”. A ‘letter” in Chapter six, part 5, is very pertinent; although talking about the novel “Kokoro” the reflection of the book we are now reading is almost mirror like, “writing a sort of regretful retrospective was apparently his only means of talking about his own conduct after decades of silence.” Kenzaburō Ōe’s “The Changeling” appearing in 2000 (nine years before “Suishi”, this work, appeared in Japan). Therefore, as you are reading this “fiction” the revelations as to an unreliable narrator, the knowledge that you will have no closure is slowly appearing, as a reader you are complicit in the novelist’s journey. One of the other prominent characters is Uniako, a thirty-something, determined actress, part of the Caveman Group, she has her own distinctive style which includes a ‘dog-tossing’ model, in the Prologue we are introduced to Rabelais and his work Pantagruel, a tale about rabid dogs. Yes, don’t let any reference, however small, slip through, it may pop up later, however you never know it could be a “McGuffin” (see Enrique Vila-Matas’ “The Illogic of Kassel” if you’d like more on McGuffins). Is this work a Japanese Karl-Ove Knausgaard? Is Knausgaard’s “My Struggle” a Norwegian Kenzaburō Ōe? Am I now just being ridiculous? Maybe I should leave the final word to the author! So “generally speaking” this style of novel hasn’t won over the judges of the Man Booker International Prize – it not making the shortlist was one of the personal shocks to myself. I may be more inclined to enjoy Japanese novels than the general public, I may also be more inclined towards the male centred, solipsistic, paternalistic works, the first-person ramblings. With that in mind, take my recommendation with a grain of salt, but this is one of the better works on the longlist of thirteen, a subtle work, that creeps into your consciousness, a meditative repetitive piece that works simply as a tale of writer’s block, but also as an allegory for post-war Japan, also as a mystery of a drowning death, also as a cryptic tale of youthful folklore spirits speaking through mature adults, a novel that is both shallow and deep that the same time, a bit like a deep forest (you’ll have to read it to know what that means). Whittling down a massive list of entries to a longlist of thirteen novels would be a monumental task, refining those thirteen to a shortlist of six would present challenges as well, even if those challenges are just healthy debate about the merits of certain works. So congratulations has to go out to Boyd Tonkin (Chair), Tahmima Anam, David Bellos, Daniel Medin and Ruth Padel for presenting six novels, in translation, to the wider reading public. Personally I found “A General Theory of Oblivion” to read like a film script (which it was originally intended to be), with multiple “bit” characters and way too may coincidental happenings for my liking. If the inclusion of a work from Africa was part of their intention personally “Tram 83” rates a lot higher on my scale. Female representation, as we know women in translation are underrepresented, however to work to a “quota” of 33% (to reflect publishing rates) is surely something the official judges have not done!!! Or have they??? To have two books of the six by women writers smacks of tokenism, Marie NDiaye’s “Ladivine” is a wonderful work (I will review it soon trust me), and personally it rates much higher than a number of books that have made the shortlist. Of course the Shadow Jury will speak, naming our “unofficial” winner just prior to the official winner on 16 May, simple maths says we’re only an 11% chance of agreeing (with 9 works on the combined lists there is a one in 9 chance of us being on the same page), unlike 2015 where we all had Jenny Erpenbeck’s “The End Of Days” (translated by Susan Bernofsky) as the winner I’m thinking it will be more like 2014 where the Shadow Jury had “The Sorrow of Angels” by Jón Kalman Stefánsson (translated by Philip Roughton, published by MacLehose Press) as the winner and the Official Jury hadn’t even included it on their shortlist. You’ll have to stay tuned to see what transpires! Tomorrow the official judges of the Man Booker International Prize will announce their shortlist of six novels from the original thirteen longlisted on 10 March 2016. The official longlist was selected by a panel of five judges, chaired by Boyd Tonkin, senior writer on The Independent, and consisting of: anthropologist and novelist Tahmima Anam; academic David Bellos, Professor of French and Comparative Literature and Director of the Program in Translation and Intercultural Communication at Princeton University; editor and academic Daniel Medin, who holds a comparative literature professorship at the American University of Paris (AUP); and prize-winning British poet and author Ruth Padel. The Shadow Judges were happy to agree with the longlist of thirteen titles and after much reading, debating, scoring and musing we are ready to pre-empt the official Judges and today announce our shortlist of six titles. The Shadow Jury consisted of eight bloggers, Stu from “Winstonsdad Blog”, Tony from “Tony’s Reading List”, Clare from “A Little Blog Of Books”, Lori a freelance book critic, Bellezza from “Dolce Bellezza”, David from “David’s Book World”, Grant from “1streading” and myself. Further information including twitter handles, links to blogs, background information and more regarding the Shadow Judges can be found here. Without further ado here is the Shadow Jury’s shortlist for 2016 (in author surname alphabetical order)…. Special mention goes to “Tram 83” by Fiston Mwanza Mujila from the Democratic Republic of Congo and translator Roland Glasser, as this work missed out on making the final six by a smidgin. Whilst I do not speak on behalf of all of the Shadow Jury members I am sure they would be happy with my view that the we acknowledge the 2016 list as being a very strong representation of translated works and the quality of the books made the selection of a final shortlist quite difficult, many of the works that have missed out would not be out of place on the official list and if they happened to be published in a prior year I am pretty confident they would feature prominently in final discussions. Personally I can assure you that I have read all six of the works on the shortlist (plus a further five from the longlist) and although I am yet to publish reviews here for the Ferrante, NDiaye and Oe novels these will be forthcoming in the next week or so (unfortunately I have been that busy outside of the “literature” world that something had to give, and that was the writing and publishing of reviews). 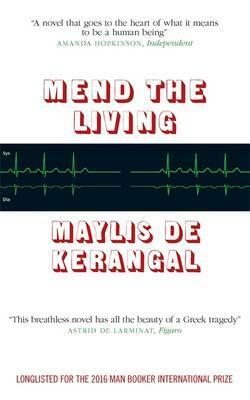 As my review of Maylis de Kerangal’s “Mend The Living” pointedly portrayed, this was not one of my favourite books from the longlist, however the other Jury members have rated the work higher than myself and being one of eight judges my lower view did not unfairly impact the final rankings. Needless to say I won’t be cheering for it as the “winner” of the official or Shadow Jury prizes. Having said that, there are other Jury members who did not agree with my higher rankings on some of the other works, so as a panel we are at least balanced in our views! I would like to also point out that the Shadow Jury has four shortlisted titles by female writers, in fact the four that were on the longlist have all graduated to the shortlist. For interest sake my personal final six did not include “Mend The Living” or “The Story of the Lost Child” (you’ll have to wait for my review to understand why), having “Tram 83” and “A Whole Life” by Robert Seethaler (translated by Charlotte Collins) on the list instead. We await the official judges views with interest and I will post their official shortlist here soon after the announcement. The 2012 Independent Foreign Fiction Prize (a now defunct award that has morphed into the newly launched Man Booker International Prize) shortlist contained Yan Lianke’s “The Dream of Ding Village” (translated by Cindy Carter), a novel that explored the trade in human blood and the subsequent AIDS crisis in China. After the first edition (in Chinese) sold out the novel was banned and is apparently still unavailable in China. The Four Books uses language borrowed from the Chinese translation of the Bible to tell the story of a mysterious Child whose age and origins are left unspecified. This Child uses a set of magical methods to oversee a community of Chinese intellectuals who have been assigned to a settlement on the banks of the Yellow River, where they are subjected to compulsory political ‘re-education’. The narrative spans China’s notorious Great Steel-Smelting campaign and Great Leap Forward, during which people were required to meet impossible production quotas, such as having to harvest several ten thousand jin of grain for every mu of farmland. The excesses of the Great Leap Forward resulted in the Great Famine, in which the thousands of intellectuals in the novel’s Re-education settlement—including characters referred to simply as the Author, the Professor, the Musician, the Theologian, and so forth—almost die of starvation, only to be saved by the Christ-like figure of the Child. For me, the heart of the novel lies not in its descriptions of the hardships undergone by the intellectuals, but rather in its use of an innovative narrative style, which I call ‘mythorealism’. 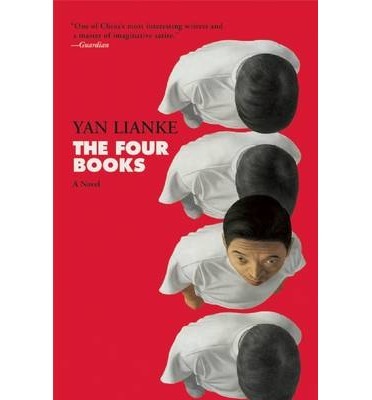 In this way, the novel attempts to offer a new perspective on Chinese history and contemporary reality, together with a set of unique challenges faced by Chinese intellectuals. As we can see from these two interviews, there is an alignment to the Four Books of the Gospel, Matthew, Mark, Luke and John, and further interpretation can also show Confucian references to the “Four Books”, ‘Great Learning’, ‘Doctrine of the Mean’, ‘Analects”, and ‘Mencius’, the texts illustrating the core value system and beliefs in Confucianism. Theologically there are many levels that could be explored here, not simply “the four books” but the links between the disciples/authors, evangelistic symbolism, alignment of the Child and Author “books” to the Gospels of Matthew, Mark and Luke (similar tales retold throughout the New Testament) as opposed to the final “book”, “A New Myth of Sisyphus”, as told by The Scholar, and its alignment to the Gospel of John. Deeper analysis could reveal a raft of parallels, however the pressing task of getting though the longlist of the Man Booker International Prize means I’ll have to defer such until a later time. A running theme throughout is the increasing production targets, whether they be for steel, or food, the frustration at these targets being ridiculously increased and rewarded with red blossoms, or pentagonal stars, with longer term “re-education” rewards of family visits over the Lunar New Year or even release forcing the intellectuals in the 99th (the setting of the novel) to reassess their own beliefs. With vivid allegorical tales or fables, parables even?, such as growing massive wheat by using human blood as a nutrient, this work leaves no horror unexplored as this period in China’s history is put to the pen. With violence, sexual abuse, even cannibalism all detailed, this is not an easy novel to read, however it is an important one. From the opening pages where we learn of one of our narrator’s fate, The Author, assigned as a political prisoner to the ninety-ninth division in a Re-Ed colony. The ninety-ninth was located in the central plains region about forty kilometres south of the Yellow River. This stretch of terrain was full of silt that the Yellow River had left behind after repeatedly changing course. Because the Yellow River had flooded over the course of millennia, the quality of the soil was very poor. Most of the peasants had already moved away, leaving only sand, wild grass, and an endless expanse of wasteland interspersed with a handful of villages. This was a perfect place to build prisons to house criminals. From the Ming Dynasty to the post-Liberation period, prisons had flourished here. The number of prisoners peaked at thirty-five thousand, including those sentenced to death as well as others sentenced to labor reform. The primary labor involved reinforcing the embankments along the Yellow River – dredging mud out of the old riverbed, then taking the upper layer of yellow silt and burying it beneath the mud. In this way, it was possible to transform barren wasteland into fertile soil. Reclaiming these thousands of mu of sandy terrain was the work of political criminals engaging in labor reform, planting grain and cotton. Several years after the founding of the People’s Republic, this ceased to be a labor reform colony, and instead became the Re-Ed region. This novel works on so many levels, whether it is the vivid language, the changing voices, the allegories, the parables, the historical significance, the political edginess or simply an engaging read. It is one of the standout novels of the 2016 Man Booker International Prize Longlist to date, the combinations will surely propel this work further along the success trail, and will surely be discussed by judges of numerous awards. Put simply – one to hunt down.